At this point, it would be silly to think that our 3run2 community didn't transcend beyond the act of running. Running is the vehicle that brought us all together. It is and always will be who we are at our core, but why be pigeonholed into one, all-encompassing category? When it comes down to it, a lifestyle rooted in health and movement (through any sport) is the school of thought that I subscribe to. Get it how you live and get in where you fit in. As luck would have it, I've recently been bitten by the cycling bug and have fallen hard for the sport. When fellow runner (and brother from another mother) Marty mentioned that he'd be racing in the 2015 Tour of Galena with Bonkers Cycling, a few of the 3run2 ladies and I jumped at the opportunity to tag along. The idea of swapping out a flat Lakefront path for hills was exactly what I had wanted in terms of a challenging workout. ...And let's be honest- A chance to get out of the city is always welcomed. I spent 3 hours in the co-pilot's seat as Amanda drove. As official Road Dawg, my main roles included being on snack patrol, catching as much of the scenery with my camera as possible, and choosing a podcast. What's good, Rich Roll? After our journey and a good night's sleep, we started the next day off at the Bonkers house for coffee. The hills were just as I had imagined- Rows of slow, grueling climbs followed by fast (and slightly terrifying) descents. It was equal parts humbling and exciting to say the least. Fast forward a few hours later to the racing portion of the day. 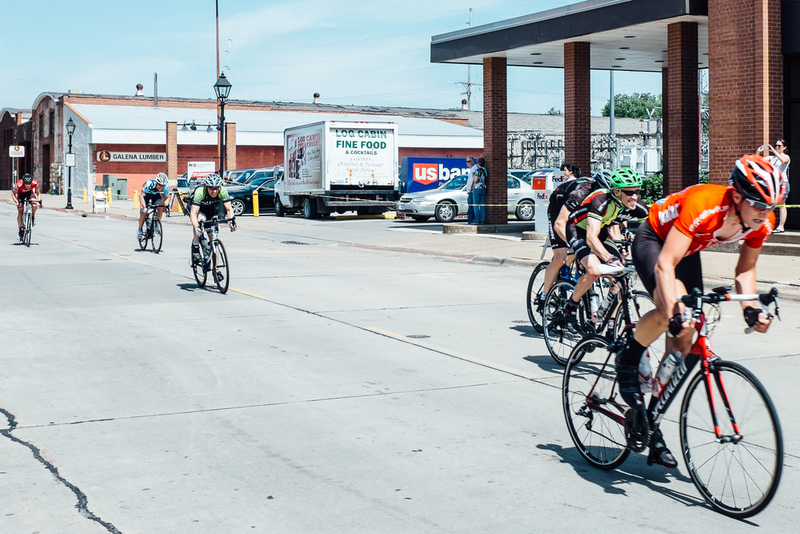 The Tour of Galena is a 22 mile course composed of several steep and long climbs. The field was capped at 100 riders. In such an intimate setting, I can't help but think that all of the participants were operating at their maximum potential. A huge thank you to Marty for letting us come along for the ride, no pun intended. I truly had a blast and can't wait do do it again. With such a vibrant and active racing culture, I can definitely see this turning into a thing.